Last Minute LEAP Class Openings! We had a few cancellations for our LEAP classes. First come-first served so please email right away if you're interested. We'll take down this post if the spaces fill. Last week at a school board meeting, the SSFUSD fired the construction company USS Cal Builders currently working on building our school. Notice of that decision is on the SSFUSD website in a press release from Superintendent Moore. There is a community meeting on Thursday January 28th at 7pm in the SSF High School auditorium to discuss this decision and how it impacts construction of our school. 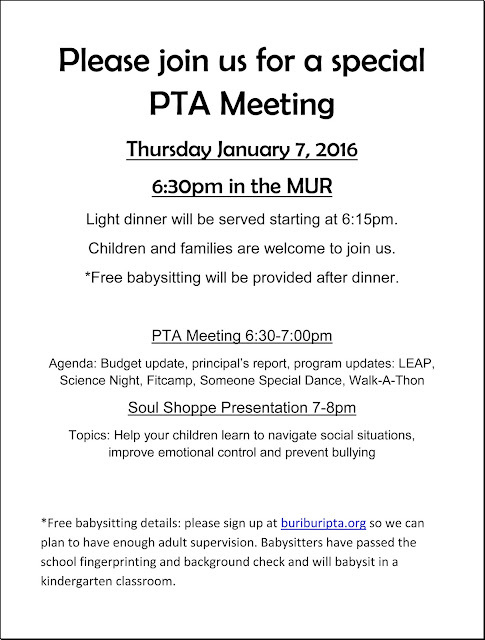 We strongly encourage Buri Buri parents to attend this meeting. 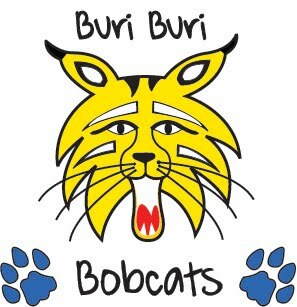 Please wear your Buri spiritwear so the district leadership is able to clearly see that Buri Buri families are in the audience. Also, please feel free to share your concerns about the ongoing construction with us by email or on our facebook page. The South San Francisco Unified School District will be hosting a Measure J community meeting at the South San Francisco High School auditorium this Thursday, January 28th, at 7 p.m. The meeting will be an opportunity to inform the public about recent events, as well as how the District will be moving forward to assure the public that work will progress. The District will subsequently conduct meetings at school sites to further clarify next steps. on Monday, Jan. 25 at 7PM in the MUR! What is FitCamp? Fitcamp is where a group of people get together to exercise. At FitCamp, folks can get a great workout along with encouragement and motivation to continue working out even after FitCamp. Ultimately it’s about feeling amazing after exercising. Come and learn more! Healthy snacks will be provided! 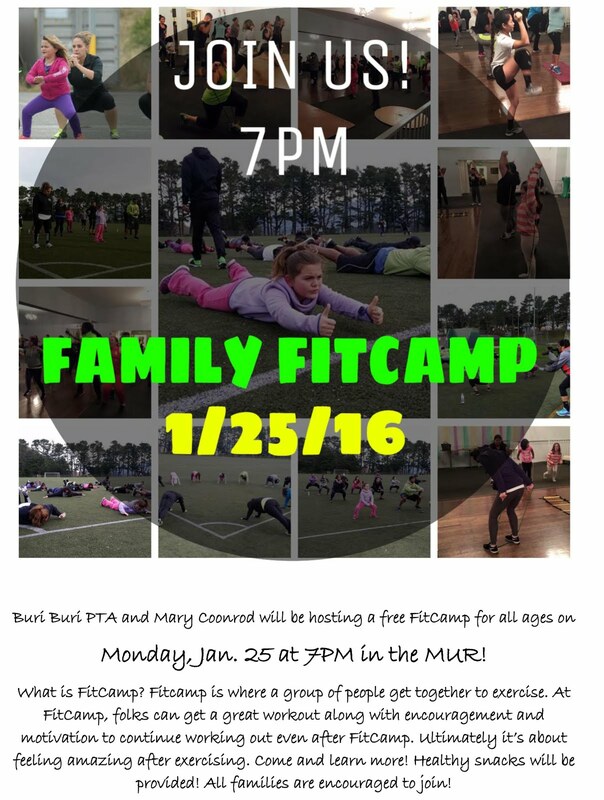 All families are encouraged to join! 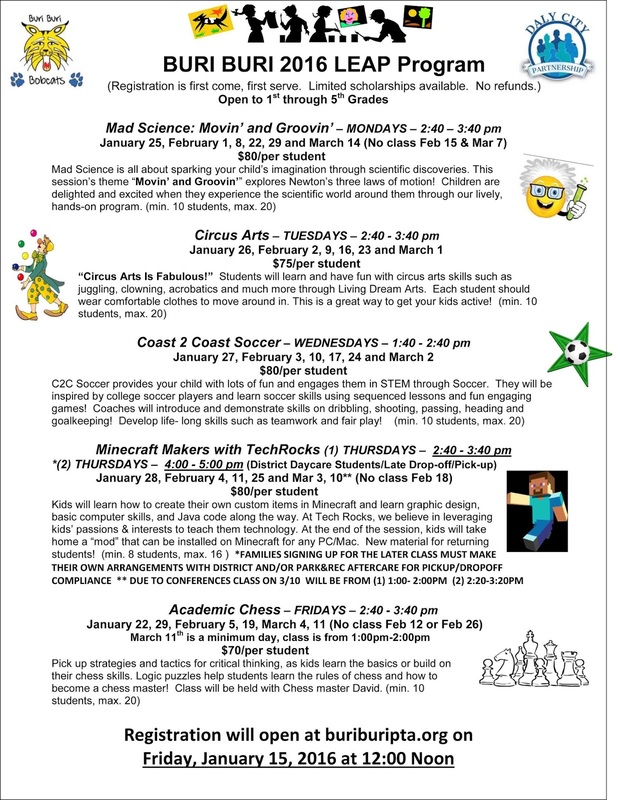 Here is a list of the LEAP after school enrichment program classes for Winter 2016! Registration will take place starting Friday January 15th at noon. We will post a form to fill out right here on this website buriburipta.org . You will be asked what class is preferred and name and contact information. When you submit your registration will get a time stamp and classes will be filled first-come-first serve based on the time of submission. Last time some classes filled up in the first 10 minutes so please be ready on Friday at noon to register. You will be notified if your child gets a spot in a class and then you will have one week to make payment. 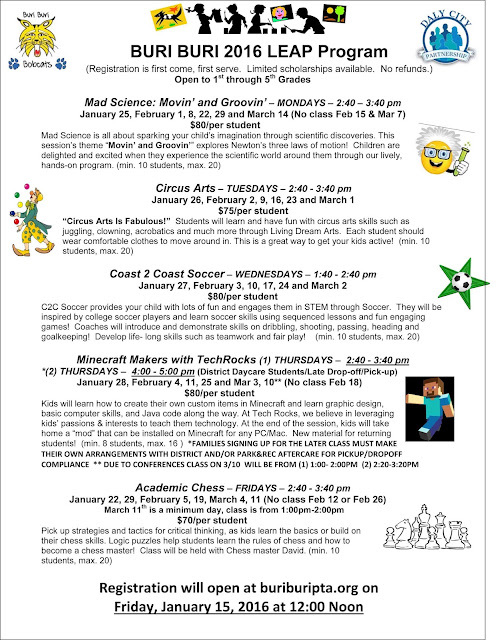 We've decided to postpone LEAP registration one week to allow for more time to advertise the classes. Look for more info here early next week about class offerings and registration details. Light dinner will be served starting at 6:15pm. 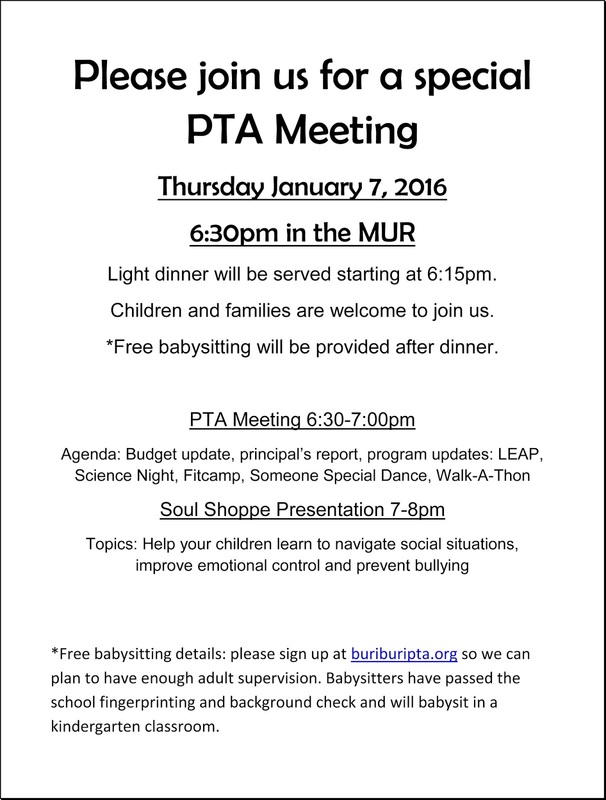 Children and families are welcome to join us.